Chee Soo was born on 19th June 1919 in Marylebone, London. His father Ah Chee Soo was Chinese and was a chef at the Westminster restaurant, his mother who was English was called Beatrice Soo, they lived in Westminster. In 1926 at the age of seven Chee Soo became an orphan and entered the care of the Barnardo’s home in Stepney Causeway. He left school at fourteen and worked as a page boy in a nursing home in Earl’s Court, a job he didn’t particularly enjoy. Chan Lee was born in Weihaiwei in Shandong in China and was trading in gemstones between Hong Kong, Singapore, Japan, and London. In 1930 he had set up offices in Holborn near the jewellery quarter in London’s Hatton Garden, the centre of the world gemstone trade at the time. In the summer of 1934 Chee Soo was invited to train at Chan Lee’s class in Holborn which met three or four times a week, it was a private class for a few of his collegues. Chan Lee was without a family so he informally adopted Chee Soo as his nephew and began training him in the Lee family style. “It’s rather curious, by a very strange coincidence, probably another Chinese fairy tale really. When I left Doctor Barnardo homes at fourteen years of age I became a page boy in Earl’s Court in a nursing home, and I used to go over to Hyde Park and have a kick around on my day off on Sundays, and I happened to be playing with my ball when my ball actually hit the back of the head of a gentleman sitting on a park bench…. At the age of seventeen Chee Soo was a merchant seaman in the Mediterranean when he decided to enlist in the British Army in October 1936 under his English name of Clifford Gibbs. In April 1937 he was approved to join the Royal Tank Regiment and went to train at Bovington Camp, Wareham, Dorset. During leave from his training he would stay with his friend the author Sir Rupert Croft-Cooke at his flat in London, and is mentioned in several of his books, in fact he even wrote a short story about him which was published in a newspaper in India. Chee was sent to fight in Northern France on the outbreak of war returning to Britain in 1940 where he was married to his first wife Gwendoline. During the war Chee Soo was to rise to the rank of sergeant commanding his own troop of tanks. 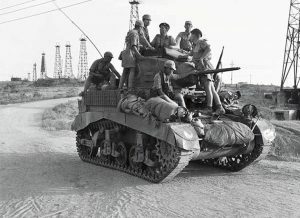 His unit was part of the legendary Desert Rats, and in Libya in 1941 as part of Operation Compass, he was awarded the military medal for his bravery as a tank commander at the Battle of Beda Fomm. During this battle the British in light tanks were outnumbered ten to one, but through the courage and tenacity of the British troops after an intense battle with hand to hand fighting the Italians were eventually forced to surrender. Soon after this he was posted to Burma, and at the Battle of Yenanyaung – protecting British and Chinese troops who were destroying an oilfield to prevent it falling into the hands of the advancing Japanese – Chee was captured on 19th April 1942. The remainder of the war was spent as a POW on the Burma Death railway as part of a working party. Conditions in the POW camps in Burma were inhuman and many Allied soldiers died of disease and starvation or were summarily executed by the Japanese. Over the next three years he was to attempt to escape five times and frequently engaged in sabotaging enemy communications. He suffered solitary confinement, torture and beatings, by his own account he was staked out in the sun and eventually sentenced to death by firing squad only to have the sentence postponed twice due to Allied air raids. This prompted him to escape with the company of a Gurkha who helped him survive in the jungle for a month until they managed to get behind Allied lines in the Shan mountains of West Burma. He was almost shot by the American guerilla unit who found him when they mistook his oriental features for a Japanese soldier but they were amazed to hear his distinctive Cockney accent speaking in English. At this point he weighed only six stone and had to be put on triple rations, he was discharged from the services and was designated a war crimes witness and returned to England to be reunited with his wife. Chee Soo set up his own club teaching the Taoist Arts in Manor Road school, West Ham. After Chan Lee died, Chee Soo became the head of the Association. 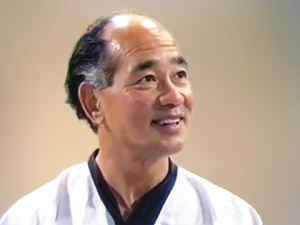 In subsequent years Chee Soo went on to teach Feng Shou kung fu, T’ai Chi Ch’uan, K’ai Men qigong, and the Taoist Health Arts in clubs he established around Britain and in Commonwealth countries and Europe. In the 1960’s Chee had become a well known figure in London and one of his students was Ray Austin the fight arranger and later director for The Avengers cult TV series. From 1965 Ray Austin worked closely with Chee Soo to develop the distinctive fighting style that became the hallmark of The Avengers stunts and fight scenes. Chee Soo, Ray Austin and Dame Diana Rigg were awarded the Guinness world record as the first people to show kung fu on TV to western audiences, this was seven years before Bruce Lee and the Kung Fu boom of the 1970’s. The Avengers was shown in more then eighty countries worldwide and for many years held the record as the most widely distributed television programme in the world, a publicity photo taken in 1967 shows Chee Soo with Dame Diana Rigg and Ray Austin. We can date the photo by the dress Diana Rigg is wearing which was also shown in the episode ‘The Joker’ first screened in 1967. A Movietone newsreel documentary film taken in 1970 at the University of Surrey shows Chee Soo giving a demonstration of Chi Shu, a Chinese soft style Martial Art similar to Aikido, which he taught under the auspices of the British Wushu Association. According to this report Chee Soo’s Association had more than 2000 students in Britain, he was one of the few people recognised by the Beijing masters and authorised to teach Wushu outside China. In 1973 Chee Soo and his daughter Lavinia made an appearance on BBC One’s Nationwide where they demonstrated Feng Shou Kung Fu to presenter Bob Wellings in the studio giving practical demonstrations of the power of internal energy or Chi. He also talked about the history of Chinese Martial Arts. The hallmark of his style was the relaxed technique and the emphasis on non-competition. In 1974 he wrote “Teach yourself Kung Fu”, and in 1976 he wrote “The Chinese Art of T’ai Chi Ch’uan” followed by “Chinese Yoga” (1977) and “The Tao of Long Life” (1979). During the Cultural Revolution in China (1966-76) Chee Soo’s group had risen to become the foremost group teaching Taoist Arts in the world with many classes in different countries. Today we are more familiar with Chinese Martial Arts and Taoist cultivation techniques like T’ai Chi and Qigong, but at this time China was not open to the West. Even in China these kinds of techniques were not shown publicly and had for many years only been available to Chinese people through joining secret societies and study associations both in mainland China and the Chinese diaspora overseas. Chan Kam Lee and Chee Soo were amongst the first pioneers in teaching the Taoist Arts openly to Westerners. In 1977 he was interviewed on the Brian Hayes radio show on LBC and talked about T’ai Chi Ch’uan, his meeting with Chan Lee, and some of the background to Taoist spiritual views such as reincarnation. He also talked about one of his most passionate subjects: the rise in importance of women’s role in society. 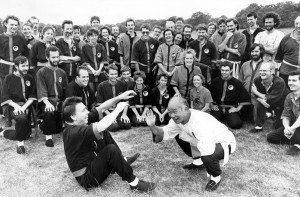 In 1978 Patrick Kelly – an author and T’ai Chi teacher from Australia – visited Chee Soo’s Kai Men Qigong club in London and wrote an account of his experiences in his book “Infinite Dao”, which is also published on Patrick’s website. In 1982 Chee Soo moved to Coventry in the West Midlands and set about gathering together a new group of teachers, it was to be his last. 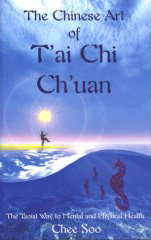 The emphasis moved away from Kung Fu more towards T’ai Chi Ch’uan – his personal favourite section of the Taoist Arts. Although he taught the self defence aspects of T’ai Chi such as T’ai Chi weapons, Whirling Hands, and Whirling Arms, he was more interested in developing the cultivation aspects of the Arts including Qigong and Taoist philosophy. He opened a club in the Alderman Callow School in Canley near his home in Charter Avenue, Coventry, where he held a weekly evening class. He also taught weekend courses in Lee style T’ai Chi Ch’uan and K’ai Men qigong, Feng Shou Kung Fu, Chi Shu, and Health and Massage classes including Anmo or Chi energy meridian massage, and Ch’ang Ming or Taoist macrobiotic diet. He taught an Easter and Summer Course every year including a week of T’ai Chi, a week of Feng Shou kung fu, and a week of Health and Massage. Many students travelled from overseas to attend these courses, and he also visited groups of students around the world teaching courses in France, Germany, The Netherlands, and Australia. He also opened a club at the Oddfellows’ Hall in Warwick Street in Leamington Spa which attracted acupuncturists from the College of Traditional Chinese Acupuncture run by Professor J.R.Worsley, and students from the University of Warwick who set up their own club at the University of Warwick Students’ Union. He found a new publisher – The Aquarian Press (an imprint of HarperCollins) – for his series of training manuals about the Lee style Taoist Arts. He now had five paperbacks which were updated versions of his earlier hardback books. These became best sellers and were published in several languages across the world including French (distributed in Canada, France, Belgium, Switzerland and Portugal), German, Spanish, Italian, Portuguese (distributed in Brazil), Polish, and Indonesian. His books were among the first to reveal previously unheard of techniques of Taoist cultivation exercises such as the Microcosmic Orbit and the “Way of Occlusion”. There was a new book added to the range “The Taoist Ways of Healing” detailing the Eight strands of the Brocade or the various techniques of Chinese medicine and healing. Over eight years from 1976 to 1984 he wrote a new book about Taoist philosophy called “The Tao of My Thoughts” – a practical guide to philosophy and living life as a Taoist, but this was never published during his lifetime. The manuscript had remained hidden at the back of a filing cabinet and was given to Seahorse Books for publication in 2006. In 1990 he moved to Ebbw Vale in Wales where he was married to his second wife Marilyn in 1992. Chee Soo died in 1994 aged 75. Anyone who met Chee Soo – and he trained thousands of people – will testify that he was no academic but a living Taoist who was thoroughly immersed in the philosophy he had learned from an early age from his teacher Chan Kam Lee. Chee Soo’s books continue to be published with the help of Marilyn Soo and are available from the Seahorse Books website.